Well built kauri diagonal strip glassed hull--teak decks-- glassed ply cabin and cockpit. 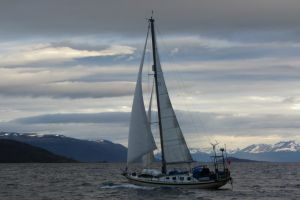 Fin keel--20hp Yanmah diesel-- furling headsail--electric capstan--auto pilot--policarbonate windows--5 berth--separate toilet--freezer--gimballed stove. Two-pot paint to topsides. 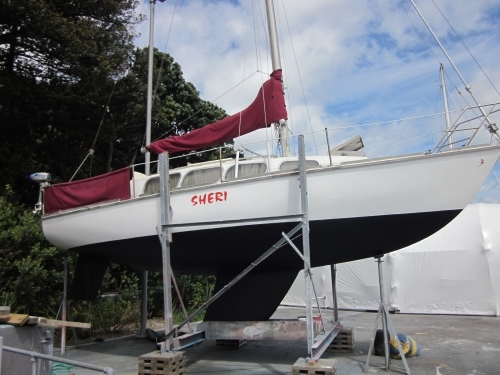 Needs new paint to cabin, cockpit and antifoul also teak decking getting thin hence price drop. 60litr water and 35ltr diesel tanks. 2.3m inflateable with 2hp ob. Northcote mooring available. Project yacht but could be sailing tomorrow!